The Defibrillator so small and light that it fits in a coat pocket and still meets all the requirements of a modern day AED. Its small size and light weight make the FRED® EasyPort the ideal companion for physicians, tour guides, golf courses, hikers, aircraft, and other areas where light portability is of the essence. 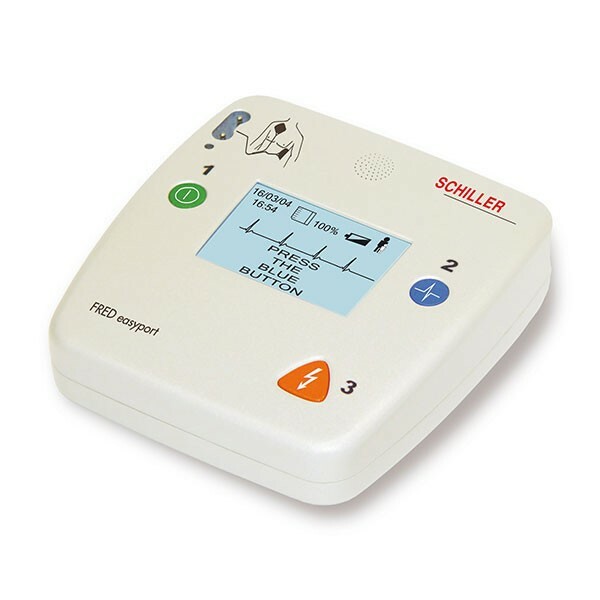 Its portability and size means that at risk patients can carry their own AED, greatly reducing the response time to treat ventricular fibrillation and tachycardias. Granting the victims a much better chance of survival. Each defibrillator comes complete with semi-rigid case, adult electrodes, spare battery, and 5-year warranty.